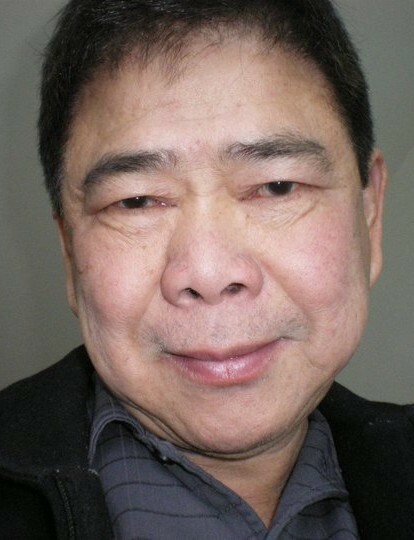 Simeon Calaguas Bangcaya, 73 of Atlantic City, entered into eternal rest at his home on November 26, 2018. Born in Manila, Philippines he lived here for 37 years. He was employed as a Cargo man for Continental Airlines for 15 years, retiring in 2005. He is the beloved father of Philip & Patrick Bangcaya & of Pia Ong, loving brother of Alex, Christopher, Timothy, Joseph & Olivia Bangcaya. He is also the proud and loving grandfather of Alexa & Sophia Ong. Visitation will be held on Thursday, November 29th from 5:00 p.m. to 9:00 p.m. at the Zuasola-Grillo Filipino Funeral Service, 44 Bay Ave., Bloomfield, NJ. A Funeral Mass will be offered on Friday, November 30th at 10:30 a.m. at St. Anthony of Padua Church, 63 Franklin St., Belleville, NJ. A private cremation will follow.